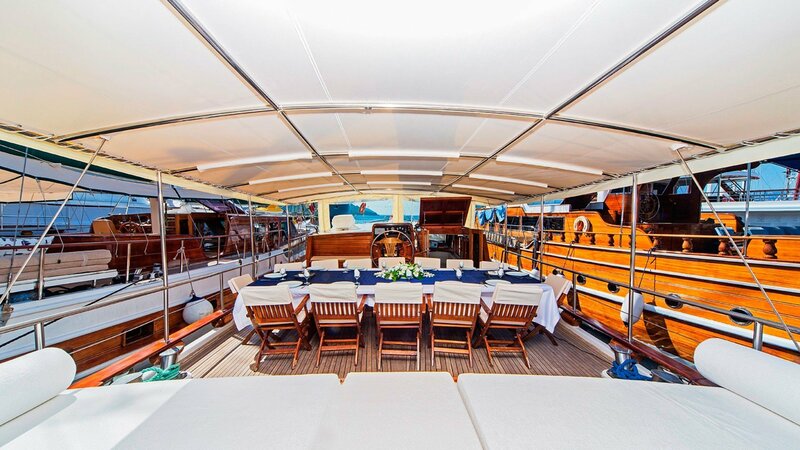 Her interior decor is contemporary with traditional features, such as teak and holly flooring, tongue and groove ceilings and warm high gloss wood panels. 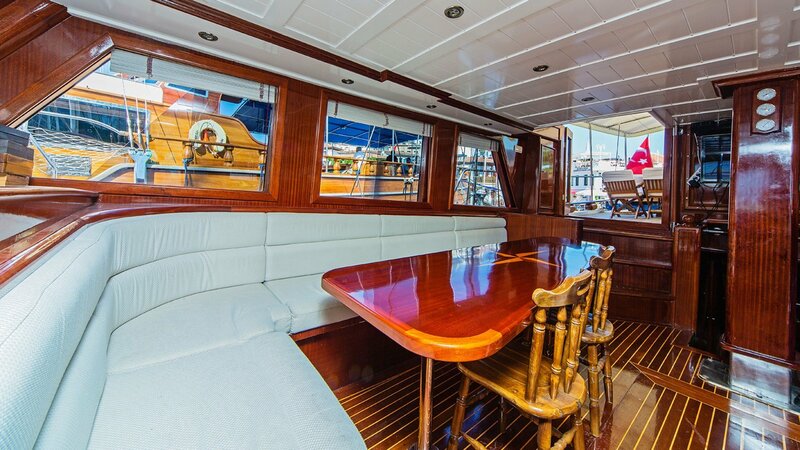 Neutral furnishings compliment the indoor living areas, creating a relaxed, yet sophisticated ambiance. 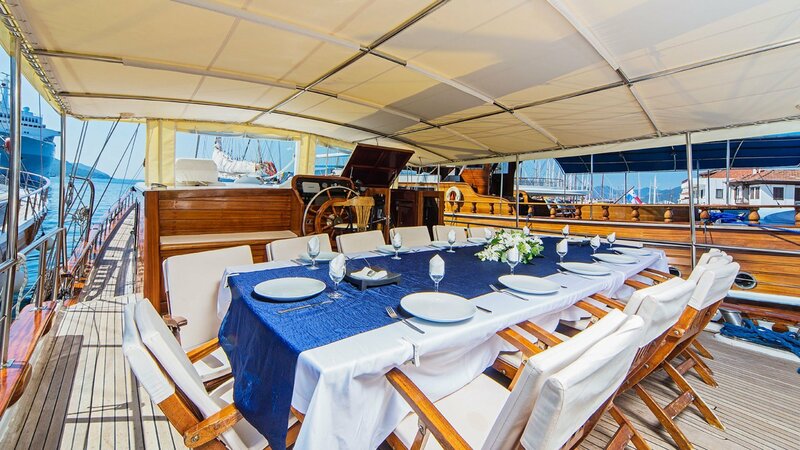 The salon is in a raised position, with a generous sofa, formal dining and full entertainment systems. 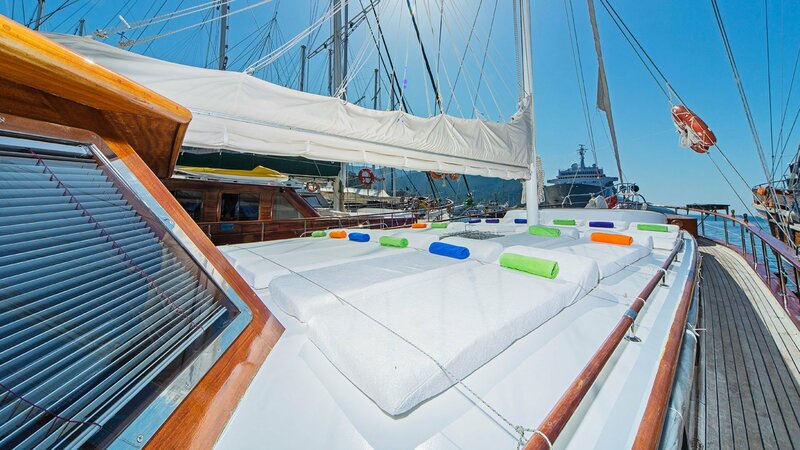 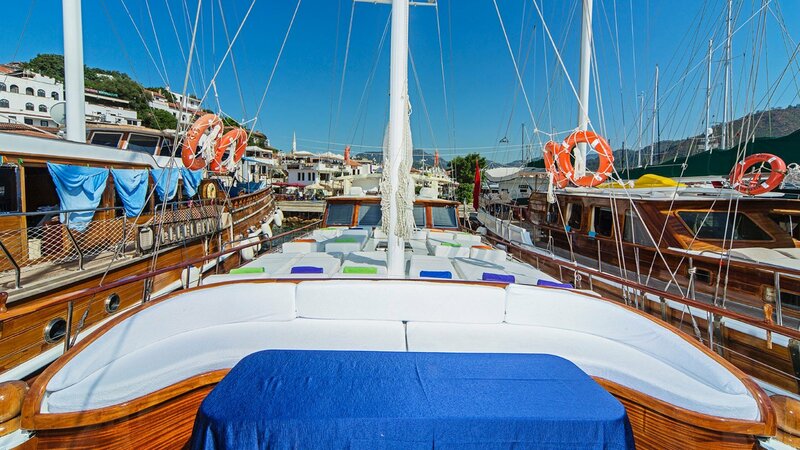 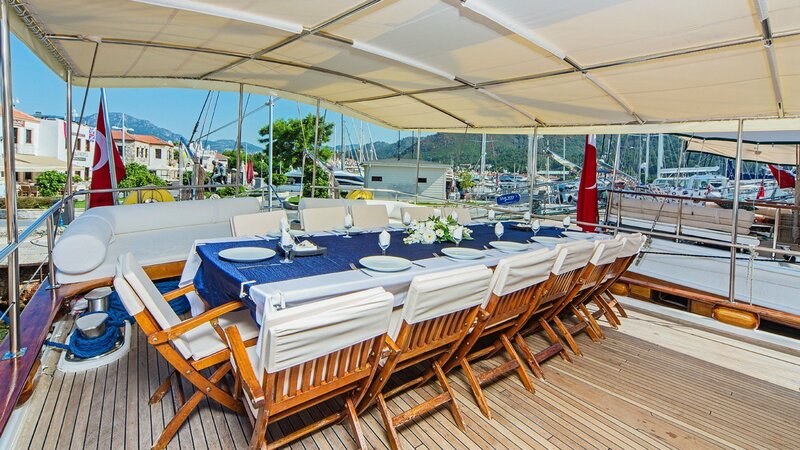 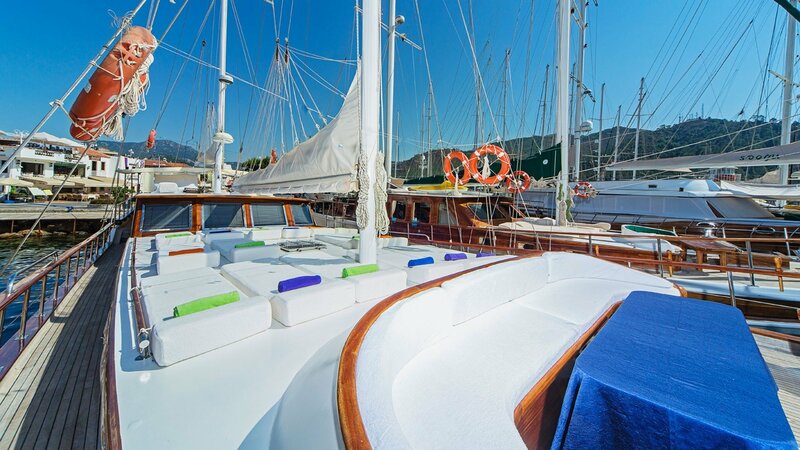 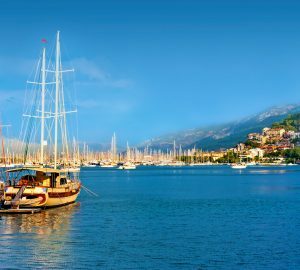 Sailing gulet PERLA DEL MAR 1 has plenty of exterior space to socialize, including a shaded aft deck with alfresco dining and full beam aft sitting arrangement, plus a vast foredeck, offering plush sunpads and a cozy seating area. 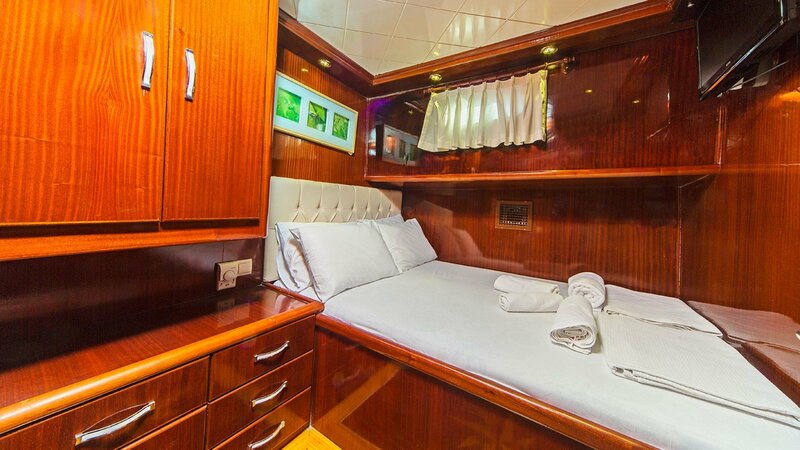 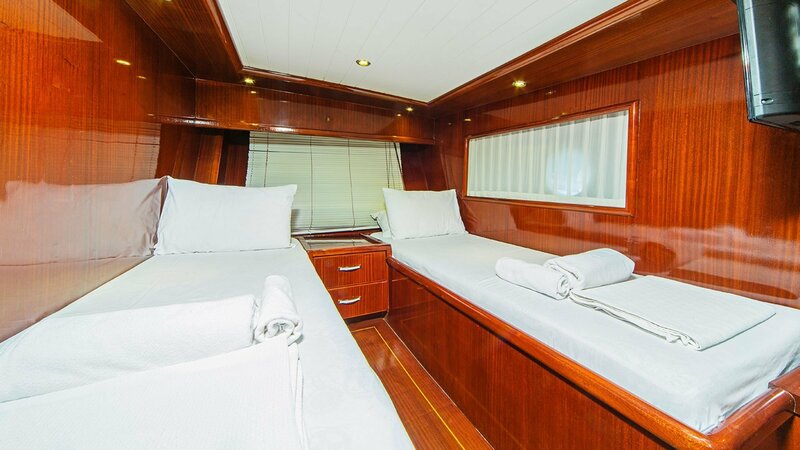 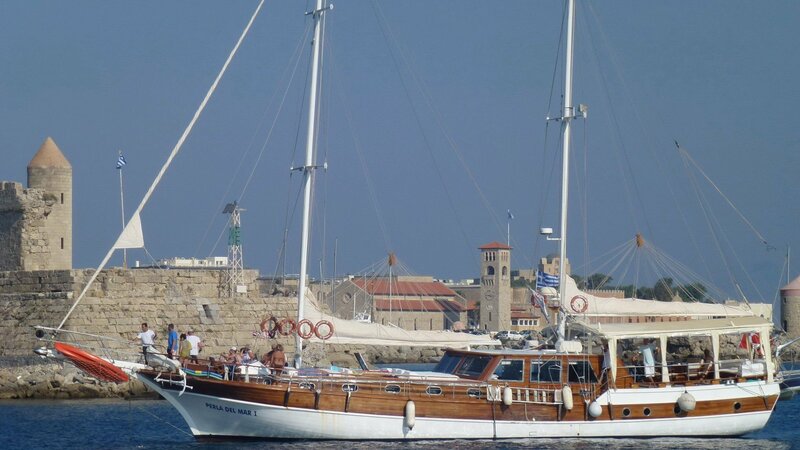 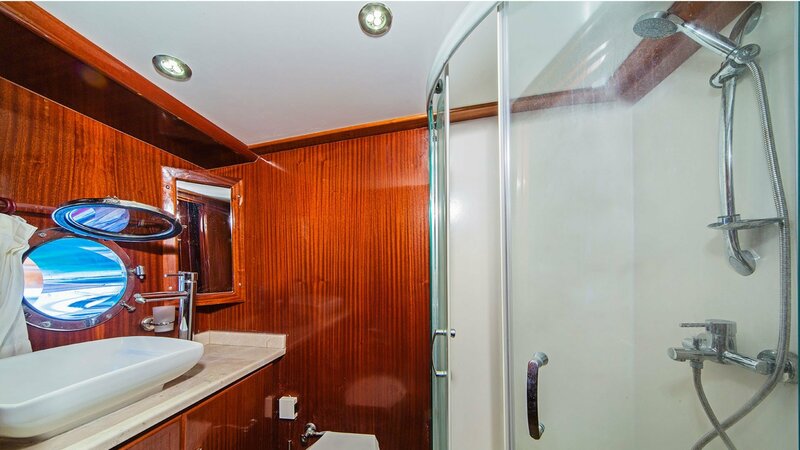 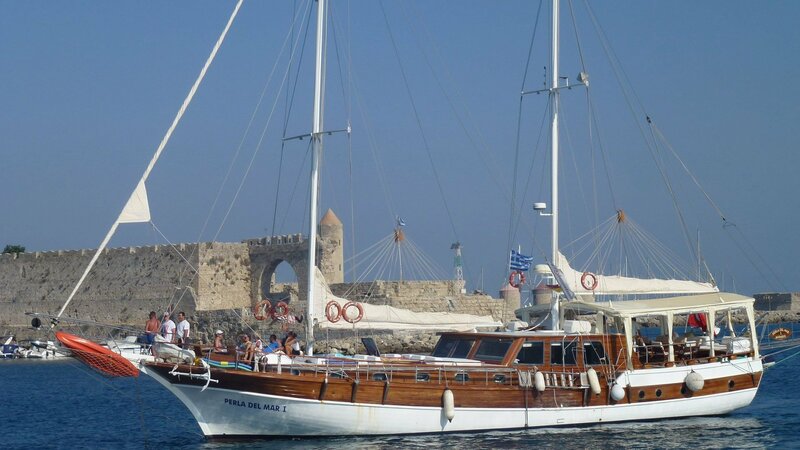 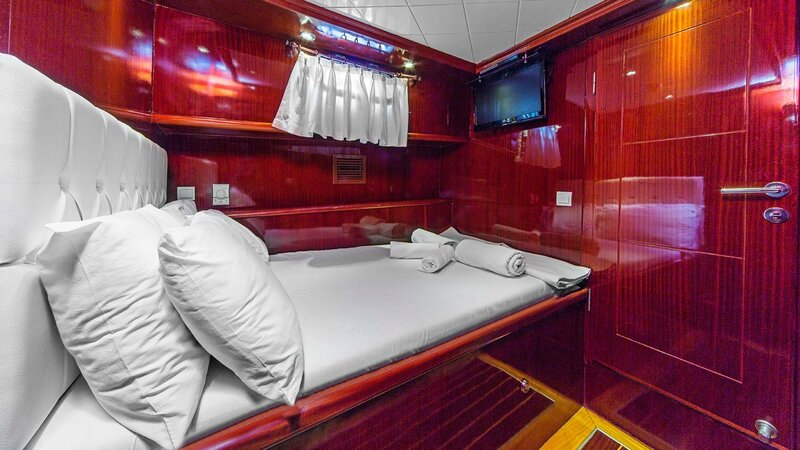 Accommodation comprises 6 double cabin and 2 twin cabins, for up to 16 charter guests.